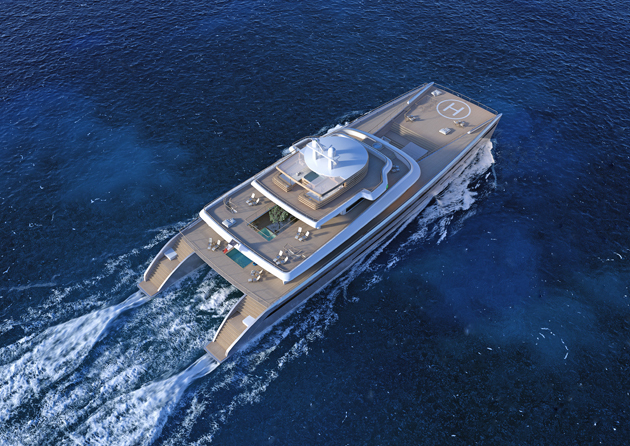 Lion Spirit’s main deck aft features an infinity pool, but the innovation really starts inside. To starboard, the owner has specified a studio cabin for processing his raw images – he is a keen photographer. The whole of the sundeck has been given over to the owner, with a private deck area aft and a forward ‘crazy room’ – a lounging area for the whole of the family with access to the open deck forward. 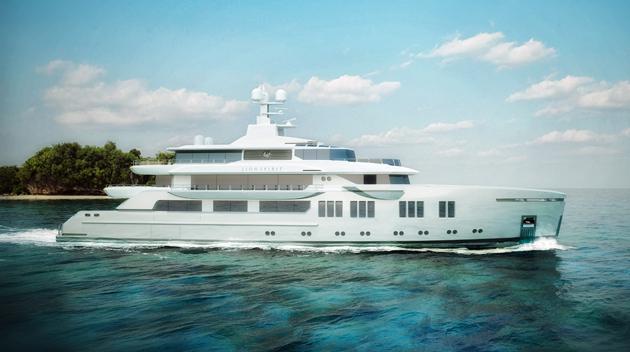 On the main deck, the plan is for the run of side windows and aft doors to open, with folding bulwark platforms along the side, ensuring the main deck salon will feel intimately connected to the environment. Twin forward-facing pod drives will produce an efficient cruise, as well as freeing up space in the engineroom. The yacht sleeps 12 guests and 13 crew. Reymond Langton Design is creating the interior. 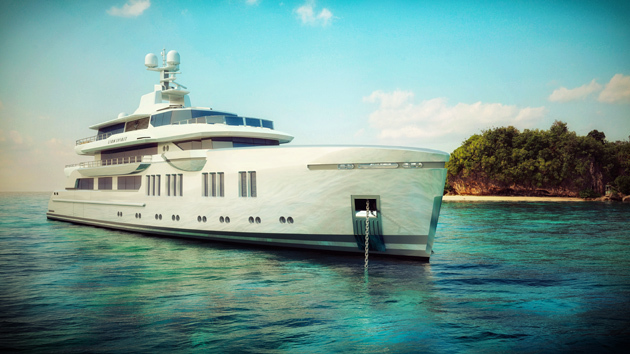 Although the yacht is some way from completion, Sunrise’s innovative 57-metre Lion Spirit is sure to be one of the most striking yachts launched in 2016.